Healthy eating for diabetics involves educating yourself about nutrition, reading labels on food packages and planning your diet using these tools. In this way you can achieve a healthy balance of nutrients—carbs, proteins, fats—which will help you manage the disease, feel better and live longer. 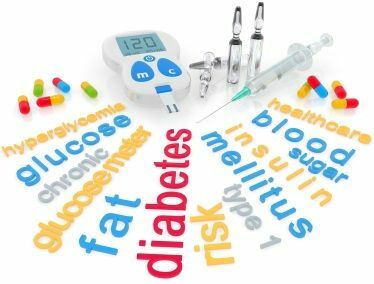 Keep in mind that everyone is unique and even if you have diabetes, your nutritional needs may be different from others with the same disease. For this reason, I recommend that you make an appointment with a dietitian who can help you assess your situation and to plan an appropriate diet. Your success in managing your diabetes will depend on what you eat, when you eat, the type of medications you are taking and your lifestyle. Interesting Fact about healthy eating for diabetics: Research has shown that exercise improves the way your body uses insulin, a key factor in diabetes. Even a 30 minute walk each day can make a difference. Be sure to let your dietitian know your exercise habits, since this will be a factor in planning your diet. --Check with a physician to make sure of your diagnosis and any underlying issues. --Meet with a dietitian to plan a diet that will take into account your medications, lifestyle, budget and personal taste preferences. --Find out about the Diabetic Exchange List, which will help you plan your carb consumption. --For best results, maintain a consistent level of calories and carbs spaced throughout the day. --Carbohydrates are the key, since too many or too few can wreak havoc with your insulin/blood sugar response, especially if you are taking insulin. --Figure out how many calories and carbs you need and then divide them up into evenly placed meals and snacks throughout the day. --For best results, balance your carbs with proteins, fats and fiber in each meal and snack. --Avoid or limit foods with added sugar, and save your carbs for those found naturally in foods such as whole fruits, vegetables, whole grains and legumes. --Read labels, paying particular attention to the carb content in foods, and avoiding or limiting those with mostly carbs. --Avoid overeating. Even healthy foods can affect you negatively if you eat too much. Learn about serving sizes and stick to them. --Be honest with yourself about what you are eating. You may fool yourself, but your body will respond badly if you are not following your healthy eating for diabetics plan. The subject of diabetes is very near and dear to my heart, since I lost my father (age 69) and sister (age 62) to this disease. Both suffered terribly in the last five years of their lives, and both struggled with maintaining an appropriate diet. I will always remember the time when my dad invited us over and offered to share some jelly roll. My face must have showed my surprise at his choice of foods when his diabetes was so advanced, because he immediately stated, “It doesn’t have much sugar in it!” (Of course, jelly roll, which is made with white flour--easily converted to sugar--and white sugar is for all intents and purposes 95% sugar with a bit of fat thrown in.) Since Dad was a very intelligent man, I am not sure if he really believed what he was saying or was just trying to convince himself because of his overwhelming desire to eat sweets. Don't be too hard on yourself or your loved one that struggles with diabetes and diet. It may be difficult for the diabetic not to crave sweets, because the mechanism in the brain that regulates sugar cravings may be broken--an effect of the disease. Also, celebrating with sweets is such a large part of our culture, that limiting or avoiding them may make a person feel really deprived. How awful to crave the one thing that will make you sicker! --Keep in mind that carbohydrates turn easily into blood sugar, while proteins and fats are less likely to affect your glucose levels. --Simple carbs, like sugar in all its forms, will spike your blood sugar. Complex carbs, especially those found in whole foods along with fiber, will be slower in converting to blood sugar. --Choose fiber foods, since fiber has been shown to help with insulin response. Aim for 35-40 grams of fiber each day. --Whole grain foods rather than white flour foods are better for diabetics. --Controlling your weight will improve your body’s insulin resistance, and research shows that, if you are overweight, even losing 10-20 pounds will help. --Eat an anti-inflammatory diet of appropriate portions of colorful fruits and vegetables, other complex carbohydrates, lean proteins and healthy fats. Click on this link to read about the anti-inflammatory diet recommended by Dr. Weil. Sugar substitutes are often used by diabetics to allow them to eat "sweet" foods without spiking their blood sugar. While this seems like a good idea, and may be okay in moderation, the research is unclear about the long-term effects of consuming these artificially created chemicals. It may be better to retrain your palate to enjoy the sweetness that occurs naturally in whole foods, and stay away from chemicals that may make you crave more of what you don't need and shouldn't eat. Also, since you are tricking your brain with these sugar substitutes, what could it be doing to that all important organ over time? Are artificial sweeteners really the lesser of two evils? For more information on artificial sweeteners, click on this link. What happens if you don’t follow your healthy eating for diabetics plan? -You could go blind, since diabetic retinopathy is the leading cause of blindness in the U.S.
-You will be more susceptible to infection and slower to heal. -You may have nerve pain or numbness in your legs and feet, which can have severe consequences, including the necessity of amputation. -Chronic high blood sugar will damage your blood vessels and organs. -You could end up with heart problems and poorly functioning kidneys. -Early death is also a possibility, since diabetes is systemic and ultimately will be fatal if it is not managed. For more information on healthy eating for diabetics, a great online resource is diabetes.org. Click on this link to go from Healthy Eating for Diabetics page to What is Inulin? page.